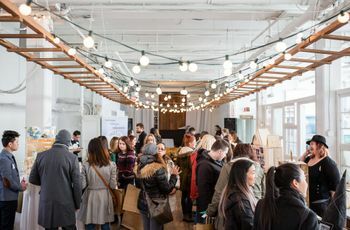 5 Reasons Unplugged Weddings Are Awesome | Wedding Ideas ARE YOU A VENDOR? The trend of unplugged weddings is on the rise, and for good reason! Couples don’t want guests glued to their phones on their wedding day, they want them to be alert and enjoying every moment that they’ve planned. 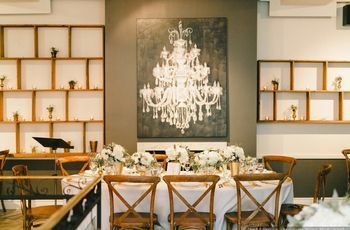 If you’re trying to decide whether or not to ask your friends and family to ditch their devices on your big day, this article might sway you. Here’s why unplugged weddings are awesome. OK, even if you don’t love being in the spotlight, you want your guests to pay attention to you on your big day. If they’re consumed by their texts, tweets, Tinder messages and Instagram alerts, their eyes may end up stuck to their screens instead of you. Yes, texts from possible suitors and YouTube videos of cats playing the piano are awesome, but are they really more important than your ceremony? You probably put a lot of TLC into penning your wedding vows, so the last thing you want is for someone’s cell to go off mid-speech and ruin your moment. 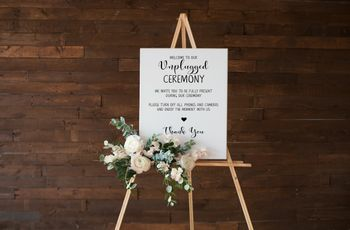 To avoid this, put an unplugged wedding sign at the entryway to your venue or ask your officiant or celebrant to make an announcement reminding guests to silence and put away their devices before your ceremony kicks off. When it comes to wedding photographers, there is such a thing as too many cooks in the kitchen. Yes, your nearest and dearest may be able to capture some killer candids but if everyone has their phones flashing, it may ruin the look of your actual professional wedding photos. Pro tip: if you want to give your guests the opportunity to capture their own memories on film, add a photobooth to your reception so they can pose it out. Don’t want the details of your big day getting out? 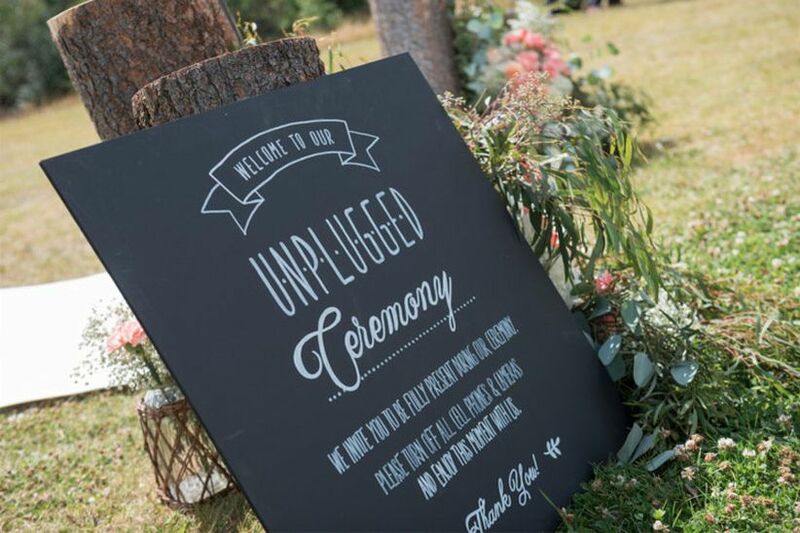 Having an unplugged wedding will keep everything hush hush. 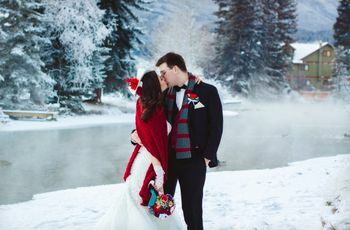 Yes, people may hear stories about how adorable your vows were or how crazy your reception got, but they won’t be able to see the evidence (unless, of course, you share your wedding photos). If you want your entire wedding day to be a bit more chill, consider asking your guests to tuck their phones away upon arrival. 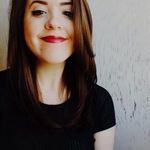 With an unplugged wedding, everyone will dance more freely and act more relaxed if they know their antics won’t be documented for the whole internet to see. Plus, you won’t have to worry about anyone getting a bad pic of your mascara tears or embarrassing happy cry face. Seriously, the fear of becoming a meme is real.